Texting My Pancreas: Diabetes Art Day 2011. Do you know what a week from today is? ...yes, it's also the first of September. ...oh, right, and you probably saw the title of this post. 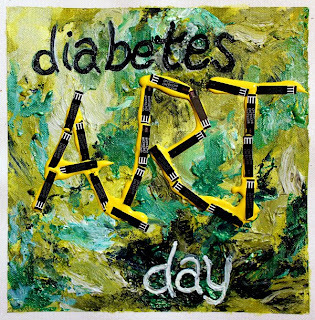 September 1st, 2011 marks the second annual Diabetes Art Day, created and facilitated by the fabulous Lee Ann Thill, and I'm super excited! Last year, I did a drawing by hand representing how I feel about the robot parts I wear. This year, I'm actually not sure what I'm going to do - but I'm pumped (ha) about whatever that will be. It’s a way for us to tell our stories so we can connect and share with each other and with our loved ones. It’s a way to generate diabetes awareness outside of the DOC by sharing artwork on Facebook, Twitter, blogs and community websites. Diabetes Art Day is for people young and old with any type of diabetes and their families, so children, spouses, parents, siblings, or anyone who is affected by diabetes can participate. For this one day, you’re encouraged to break out of your linguistic comfort zone, bust out some art materials, and make a piece of artwork – painting, drawing, collage, sculpture, an installation piece, a mixed media something or other, or whatever you can imagine. 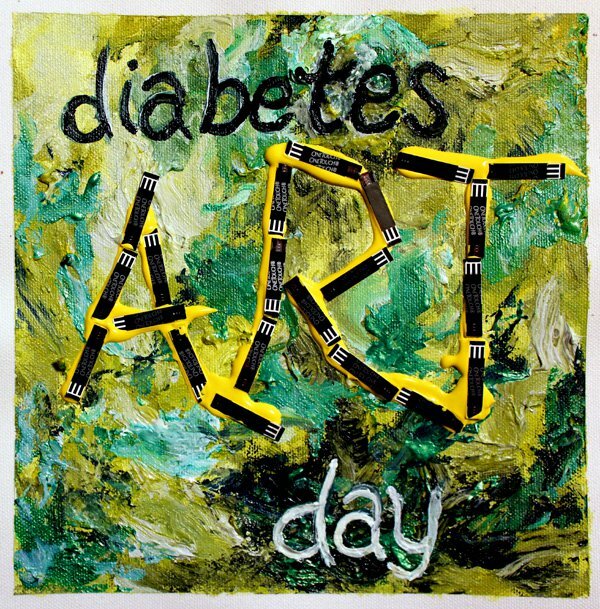 Whether you have lots of experience making art or none at all, Diabetes Art Day is for you to show the world what it’s like to live with diabetes in that “a picture is worth 1000 words” kind of way. Get out your pencils, markers, stickers, paint, pastels, charcoal, glue, glitter, frosting, googly eyes... and get to creating already! Wow that came up really quickly! thanks for the reminder! i may have missed it if it weren't for you! Awesome idea! I need to tell my daughter about this - she'll have so much fun with it!